View More In Newsboy Caps. your head along with the rest of your body warm with this iconic hunt plaid style cap. Size: About Circumference 22"-22.8" (adjustable) ,Depth: 4.7"
Your satisfaction is our priority. If for any reason you are not completely satisfied after receiving your product, we offer a no hassle,no questions asked money back guarantee. VEC®'s design inspiration come from France , popular elements nowadays . Mainly specialized in designing and selling the women'/men' fashion clothing accessories. New Zealand and other countries , at the same time , set up the counters' shop and experience center in most countries. insist on the style of business leisure and the style of freedom. And the available price is suit for most people . Product is highly recommend by most successful people , because of the sincere service. Size : Head circumference 22"-22.8" (adjustable) ,Depth: 4.7"
Washing Instruction : hand wash with cool water, air dry; or spot clean. 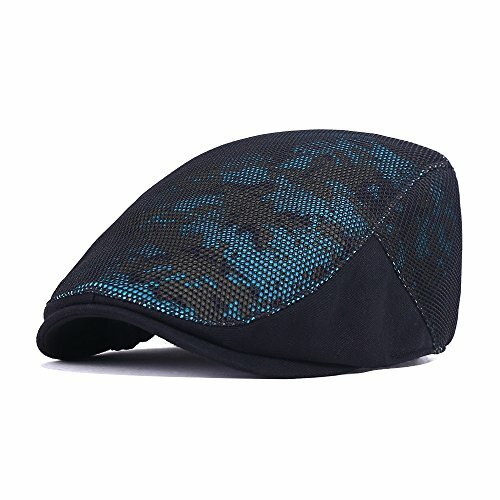 Advantage : Traditional, classic & front snap brim vintage style flat ivy newsboy cap,perfect for adult men or women of any age. If you have any questions about this product by VEC, contact us by completing and submitting the form below. If you are looking for a specif part number, please include it with your message.